Located on the ground floor of Kenilworth House the apartment has fabulous sea views over Royal Crescent gardens. The lounge has a 50' plasma TV with freesat and superb home cinema system. The kitchen comes complete with washer/dryer, dishwasher, double oven, hob, microwave, filter coffee maker, 'American style' fridge freezer with ice maker, sandwich toaster and toaster plus all guests get complimentary use of wash powder, dishwasher tablets, tea, coffee, sugar plus lots of other extras for that perfect self catering break ! The superbly equipped bedroom has a 42' widescreen plasma TV with HD DVD player, clock radio with iPOD dock, hair dryer, straighteners etc. This fabulous holiday accommodation sleeps up to 4 people (plus baby), with 1 double and one double bed settee in the lounge! A travel cot, high chair, baby bath and baby accessories are provided to help those with a baby find room in the car for their luggage ! 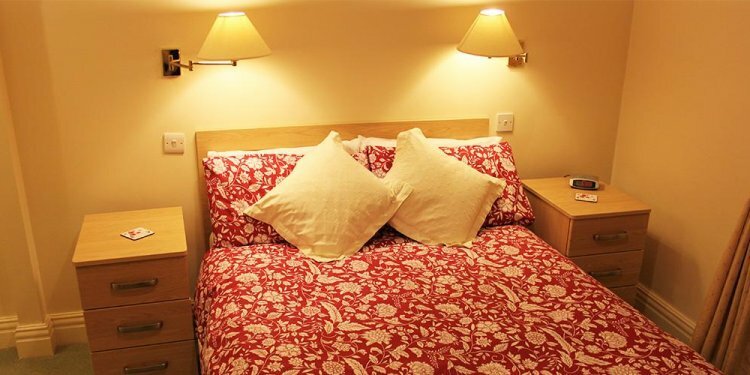 With packing in mind, the accommodation also provides ALL bedding, towels, flannels, tea towels etc and the price is fully inclusive of all gas/electric etc - see our website directly for prices, availability and additional photos and information including an online booking form - www.jleewhitbyseaview.co.uk. Please don't miss out on one of the best self catering properties in Whitby - book today !! For full details of all rooms, details of special offers and more photographs, please visit our website (link below).